Moon Township plastic surgeons want men to know that hard work, stress and aging don’t have to take a permanent toll on your face and body. 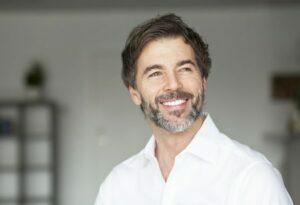 You may be hesitant to inquire about men’s cosmetic surgery, but here at Advanced Liposuction Center we treat many men for a wide variety of issues. Whether it’s ironing out wrinkles, work damage to your skin or trimming your waistline, we can help. Liposuction: You’ve spent hours at the gym and you’re careful about what you eat, but you still can’t seem to lose the love handles. Our water jet liposuction can eliminate excessive fat deposits in stubborn places. With a careful eye, our cosmetic surgeons will sculpt the contours of your body for a pleasing result. Tattoo Removal: Tattoos can be unsightly or just no longer who you are. We have safe ways of removing tattoos. Teeth Whitening: Studies show people with whiter teeth and a great smile exude confidence and have higher self-esteem? This can have a significant impact on your professional and personal life. Remove Wrinkles: We offer several options for restoring a youthful appearance to your face. Remove frown lines, wrinkles, sun spots and other signs of aging using Botox, injectable fillers and photofacial treatments. Laser Hair Removal: Get rid of hair growing in places where you don’t want it with our laser treatments. First, the density and coarseness of the hair is reduced. Then, with multiple treatments, the hair follicles are eventually destroyed and rendered incapable of producing hair. Eliminate varicose and spider veins: Broken capillaries, age spots and spider veins are all common as you age. We offer Intense Pulse Light Therapy and Sclerotherapy for removing these from your legs, face, hands and other places on your body. Changes to your physical appearance can motivate you to go on to make other positive changes in your life. If you’ve been thinking about improving your appearance, make an appointment for a free consultation with one of our expert cosmetic surgeons and learn what’s possible. Contact one of our Pittsburgh area offices by calling: 724-683-7581.